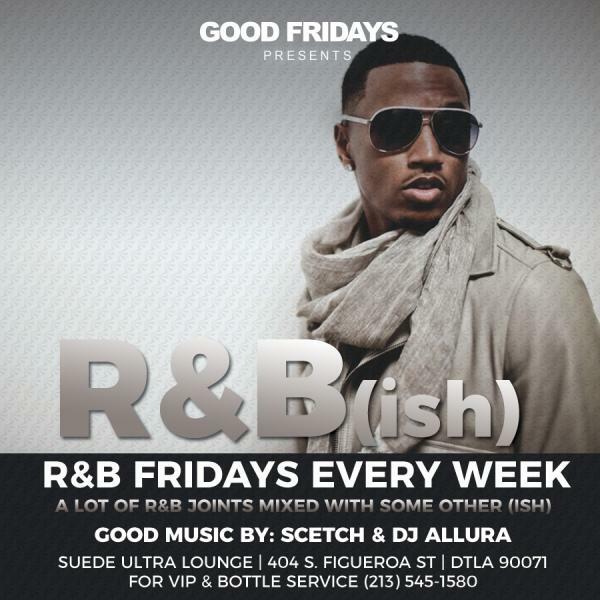 R&B (ish) takes place every Friday Night. It’s a lot of R&B mixed with some other (ish)!!! It features your favorite Party Anthems, 90’s and Current R&B mixed with a little Hip-Hop, Top 40, Reggae and Latin. No house or EDM.Music By: SCETCH & rotating guests. Only 8 sections available each week so don’t wait! Tables & Sections can host a group of 4 up to 40 guests! You can bring your own cake and decorations or we can provide it for an additional fee. Your choice. Contact: rsvp@scetch.events for more details or to schedule an event for 2018. Suede is an upscale ultra-lounge located on the ground level of the Westin Bonaventure Hotel, in the Financial District of Downtown Los Angeles. It is a popular hangout for professionals, residents and influencers attracted to the Downtown LA social night life.